Aaron Prosper, Dalhousie University's student union president from Eskasoni First Nation, accompanies the Smokey Point drum group from Pictou Landing First Nation while acting as the arena director at the university's annual Mawio'mi - or pow wow - in Halifax on Thursday, October 11, 2018. Petra Molnar pictured in the gardens of Darwin College, Cambridge, UK, part of the University of Cambridge, October 2018. Shelley Moore, an educator and speaker about special needs students, photographed at the Yellowknife Catholic Schools District offices. Brett Christopher, artistic director of the Thousand Islands Playhouse theatre company, photographed inside the company's theatre in Gananoque, Ontario. Jennifer Twiner McCarron at the Atomic Cartoons animation studio on November 9, 2018, in Vancouver, B.C. Jennifer Twiner McCarron is not a “yes” woman. 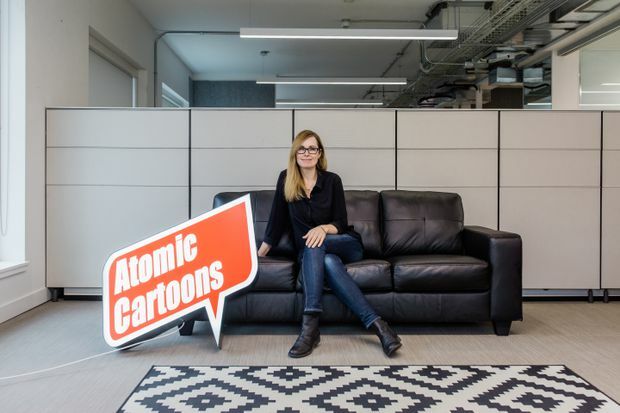 The president of animation studio Atomic Cartoons – and recently named CEO of parent company Thunderbird Films (Blade Runner 2049, Kim’s Convenience) – knows that to get what she wants done, sometimes she has to say no. She chooses projects that make a positive contribution, and turns down those that don’t align with Atomic Cartoons' values. So no gore, no guns, no violence. Owais Lightwala, left, Ravi Jain and Kelly Read of Why Not Theatre at their new office in Toronto, Thursday, November 1, 2018. 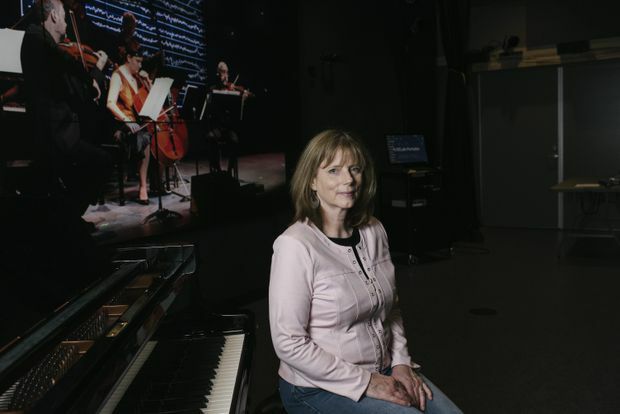 Dr. Laurel Trainor, in the LiveLab at McMaster University on Wednesday, October 31, 2018. Trainor researches how the brains of young children process music and how that relates to learning both speech and movement. Moms Stop the Harm co-founders Lorna Thomas, left, and Petra Schulz, near a bench dedicated to Lorna's son Alex in Edmonton, Alberta on Friday, November 9, 2018. Halifax city councillor Lindell Smith takes a selfie after delivering a keynote speech to a leadership conference for high school students in Halifax on Saturday, November 10, 2018. 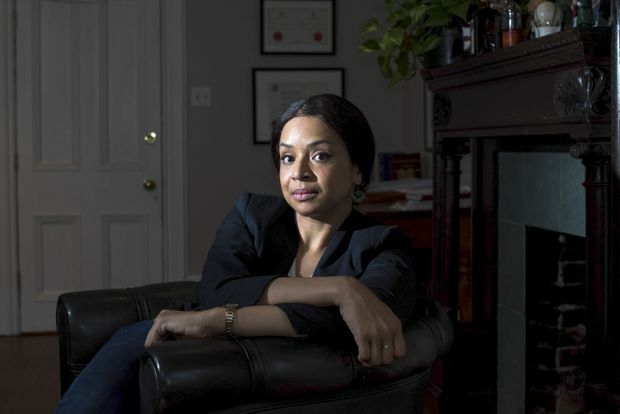 Annamaria Enenajor, a criminal defence lawyer, sits for a portrait in Toronto, Ontario on Wednesday, October 31, 2018. Enenajor founded Cannabis Amnesty, an organization that is asking the government to create legislation to delete records relating to minor cannabis-related convictions. 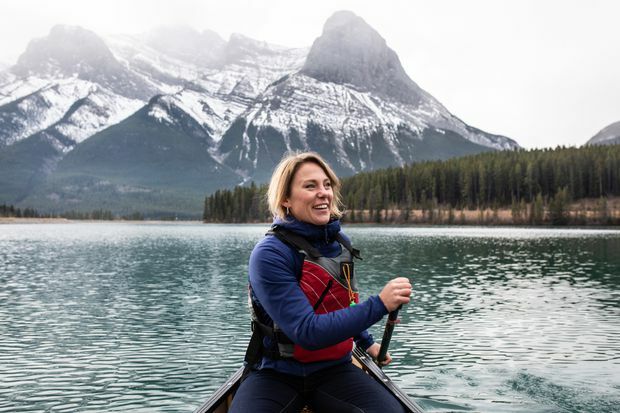 Aerin Jacob in Canmore, AB. Janelle (left) and Giselle (right) Hinds photographed at St Joseph Secondary School. 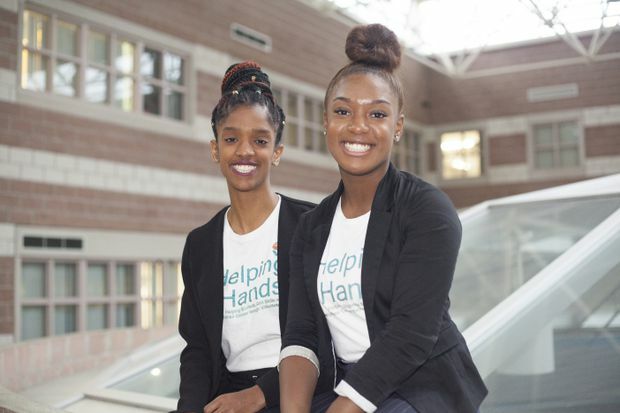 Janelle founded the app Helping Hands that connects students to volunteer opportunities. Photographed Friday, November 9, 2018. Lifford Cannabis Solutions (LCS) was founded by cannabis advocate Lisa Campbell in order to bring the most premium selections of cannabis to consumers. Tammara Soma of the Food Systems lab at a University of Toronto cafeteria in Toronto on Friday, November, 2, 2018. Much of Tammara Soma's work is not glamorous, but she is one of Canada's leading voices on the issue of food waste. In Canada, an estimated $31-billion worth of food is wasted every year. Around the world, about one-third of all food produced (mostly fruit, vegetables and meat) is needlessly thrown out. Ms. Soma is dedicated to finding pragmatic solutions to this problem. Jason Thorne, the city of Hamilton's general manager of planning and economic development stands for a portrait in Hamilton, Ontario on Wednesday, October 31, 2018. 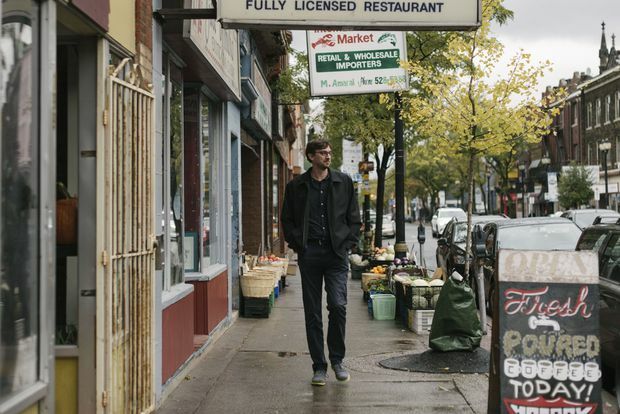 Thorne has worked on various projects to bring changes to Hamilton's downtown core. Patricia Berube shows her master's thesis in art history at Montreal Museum of Fine Arts in Montreal, October 23, 2018. Berube made a 3D version of a painting by Alfred Pellan so that blind people can appreciate them. Shoushi Bakarian, an aerospace engineering student at Concordia University, poses for a photograph with a ventilation device that she redesigned (in blue) for Cessna airplanes, at Stratos Aviation in Montreal on Tuesday, October 30, 2018. Bakarian arrived from Syria in 2016.